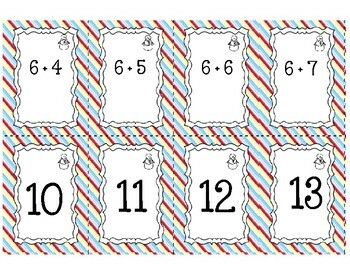 Students will practice addition facts while having fun playing Old Maid with this engaging game! Game play involves the same rules as traditional Old Maid. 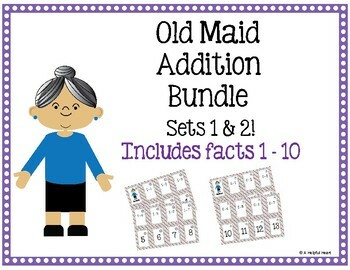 Set 1 includes 50 addition fact cards, 50 sum cards, and one Old Maid card. 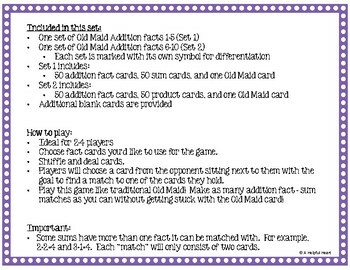 Set 2 includes 50 addition fact cards, 50 sum cards, and one Old Maid card. Additional blank cards are provided.